Abe was a panel member of the Annual Conference of the USA Branch of the International Fiscal Association addressing the U.S. Model Treaty approach to hybrid entities. 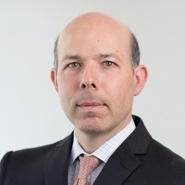 He was part of the panel at the Joint Meeting of the United States and Canada branches of the International Fiscal Association, addressing U.S.-Canada Cross Border Financing Structures. Abe was a member of the American Bar Association panel addressing the "Use of Derivatives to Avoid U.S. Taxation of Effectively Connected Income".